One lucky classic car owner could win free entry into this year’s London to Brighton Classic Car Run courtesy of ClassicLine Insurance. 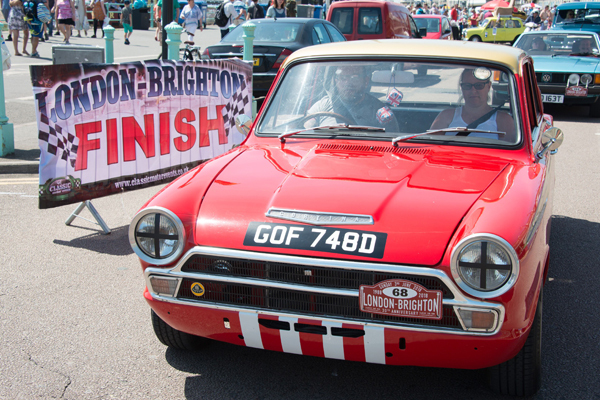 As well as taking part in the iconic drive from Greenwich Park in London to Madeira Drive in Brighton on Sunday 2nd June, the winner will also take home a commemorative numbered rally board, a solid brass rally plaque, a route book and a personalised certificate of entry. …we’ve put together a fantastic prize package, including one free entry on the actual run itself. It is the second year running that ClassicLine Insurance has been the headline sponsor of the run which is organised by GE Classic Motor Events. To enter the prize draw which closes for entries on 25th April 2019 and for full terms and conditions click here. Ian Fray, managing director at ClassicLine Insurance, said: “ClassicLine Insurance is delighted to once again be the headline sponsor of the London to Brighton Classic Car Run. The Classic Car Run is open to vehicles aged twenty-five years and over and there is also a dedicated separate run on the same day for owners with younger kit and sports cars. Both runs are being sponsored by ClassicLine Insurance and attract almost 400 vehicles. For more information about the London to Brighton Classic Car Run, visit here for vehicle entry, T&Cs visit here.